UPDATE: Click here to see how Aquiles performed at the World Games. Aquiles was born with cerebral palsy, which affects his lower limbs and torso. He uses a wheelchair most of the time; yet, he has become a powerful swimmer—thanks to hard work, determination and his now-incredibly strong upper body. 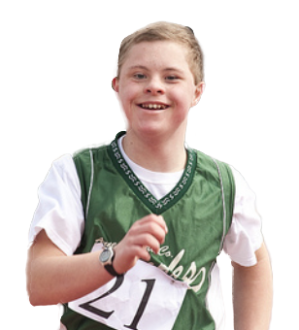 He's been training and competing with Special Olympics since 2001, and loves to talk about what Special Olympics means to him and his whole family: "I have been able to show the world that, although I have physical and intellectual disability, there are no barriers." He adds, "I give the best of myself in everything...however difficult it may seem. The important thing is to reach the goal." Despite the turmoil in their country, the athletes of Team Venezuela have been focusing on their World Games training as best they can. His teammates say Aquiles is a big motivator for them, proving success even in face of "the conquests that seem impossible."